This is one of the problems I encounter often. It might be useful to put solution here. If you are in hurry or don’t need any explanation, I’ll just leave solution below. 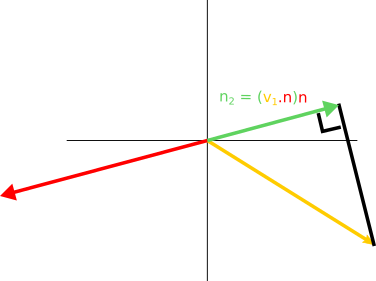 v1.n is dot product & n must be normalized. That is the code I use for my game using Angelscript (c++ like language). If you use C#/Unity3D, the concept is similar. How did I come up with these numbers? Well, I found formula from StackOverflow. haha. Let’s break down the solution. 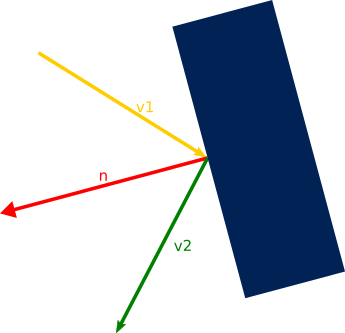 We have v1 vector we want to get its reflection. 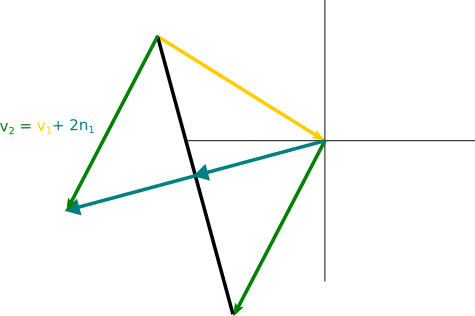 Vector n is the vector that perpendicular to the surface v1 reflects with. We usually call it normal. We get vector n1. For now, just ignore n. Multiply n1 by 2 and now that’s v2 we are looking for. Next step is figuring out how to find n1. 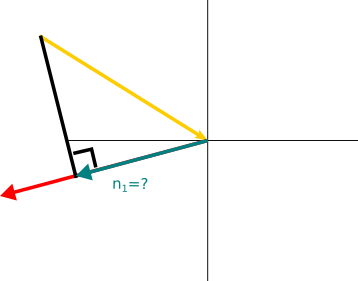 Easy, it’s dot product of v1 and n. If you don’t know what dot product is, you can read it here. 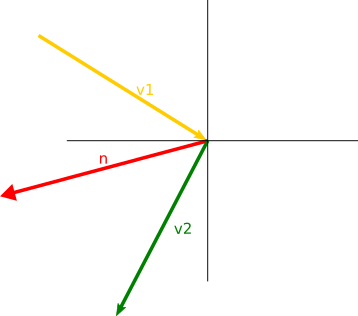 Due to the angle between v1 and n is more than 90°, the result is minus. 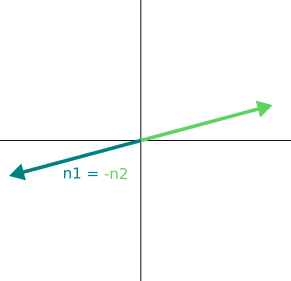 Multiply n by dot product’s result, we have n2.